$27.319 million on 3440 screens. 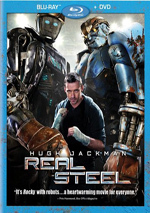 If you combine Rocky with robots, you’ll likely end up with 2011’s Real Steel. Set in the year 2020, we learn that human boxing has been replaced by mechanical pugilism. Once a decent fighter, Charlie Kenton (Hugh Jackman) now scrambles to make a living via the “management” of robot boxers. This doesn’t tend to go well for Charlie, as his droids lose and he overextends his financial commitments. In the midst of this, Charlie gets an unwanted reunion with his young son Max (Dakota Goyo). When Max’s mom dies, Charlie gets automatic custody that he doesn’t desire. However, he does need money, so he strikes a deal. Max’s aunt Debra (Hope Davis) wants custody of the kid, so Charlie convinces her rich husband Marvin (James Rebhorn) to pay him $100,000. Marvin agrees but Charlie must take Max with him for the summer so the married couple can use that time for a vacation. Thus Charlie grudgingly becomes a parent, though not a very good one at first. Charlie uses the blackmail money to buy a new fighting bot, but this one gets hammered pretty quickly. When Max and Charlie scour a junkyard for spare parts, they find an ancient “sparring bot”. Max decides to rescue this machine – which he names “Atom” – and believes the old relic could be used as a real fighter. Charlie doesn’t concur, but he eventually agrees to work with Atom and we follow their path through the boxing ranks. With Shawn Levy behind the camera, you have a fairly good idea what to expect from Real Steel. The director of flicks like Night at the Museum and Date Night, Levy tends toward populist entertainment. He often creates films with decent to good entertainment value but they don’t show signs of anything more than that. This trend continues with the enjoyable but lightweight Steel. Levy often feels like a director who’s assimilated a lot of filmmaking techniques over the years but has yet to make his own mark on cinema. At its heart, Steel comes across as a melding of Steven Spielberg and Michael Bay. The bonding between Max and Atom hearkens back to ET, and the general level of sentiment feels like part of the Spielberg catalog as well. The Bay influence comes through in the action mostly – after all the Transformers flicks, it’s hard to see battling robots and not think of Bay – but it also appears elsewhere. Here Levy opts for plenty of spinning cameras and moody shots with no apparent visual motivation other than to look cool; take the oddly dramatic image of Charlie and Marvin as they negotiate in a hallway, for instance. Even though Levy wears his influences on his sleeve and can’t create great cinema, he does produce a more than watchable flick with Steel. Does he leave a single cliché unturned? Not really, though I admit I like the fact Max learns early on that his dad “sold” him to Marvin, as this avoids the cliché “betrayal” scene. We still end up with a similar sequence, but it’s quick and not quite as predictable as it could’ve been. When Steel works, it does so because it’s just heartfelt and earnest enough to merit our affection. Does it ever feel fresh or creative? Not really – we can see most of its moves far in advance. But that doesn’t prevent entertainment value from emerging. Indeed, Steel works in spite of its multiple clichés and chances to sink into an emotional pit. The whole thing’s so cheesy and corny that it should nauseate, but darn it, Levy stages the underdog action in a manner rousing enough to make us want to cheer. Granted, it’s a small cheer, but it’s a cheer nonetheless. Does Steel ever overcome its sentimental, populist origins? Nope, but its lack of cynicism and embrace of its roots help it to succeed. This is a slick but enjoyable product. Real Steel appears in an aspect ratio of approximately 2.35:1 on this Blu-Ray Disc. The movie came with a solid presentation. Colors looked fine. 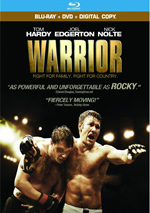 The movie usually went with a slightly golden tone, though arena boxing shots featured peppier neon hues, and scenes with darker emotional content tended to be chillier. Whatever the requirements, the colors came across with nice clarity and liveliness. Blacks were dark and tight, and low-light shots demonstrated positive visibility. I had no complaints about this fine image. I felt equally impressed by the lively DTS-HD MA 7.1 soundtrack of Real Steel, as it offered a lot of pizzazz. The soundfield created a terrific sense of place and threw out fine action when appropriate. 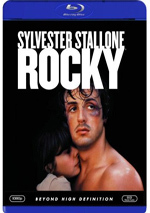 The movie’s various boxing sequences boasted vivid material that showed up around the spectrum in a dynamic manner. When we head to extras, we find something unusual under the banner of Second Screen. This offers a different kind of picture-in-picture program, as it requires an external device to work best; you’re supposed to synchronize the Blu-ray to your computer or iPad. Normally I don’t review anything that requires an external connection; that’s why I’ve never touched on BD-Live, as I prefer only to discuss content that exists on the Blu-ray itself. I planned to make an exception for Second Screen, but alas, I was unable to take full advantage of the feature; as I write, the Blu-ray’s still 10 days from retail release, so the Second Screen website hasn’t gone live yet. I’m still going to review Second Screen, however, because even with the external option unavailable, it still functions – albeit in a “dumbed down” manner. The main component to the totally disc-based version comes from an audio commentary with director Shawn Levy. He offers a running, screen-specific look at how he came onto the picture, cast, characters and performances, music, audio and editing, story/script areas, action and fight choreography, visual design and cinematography, various effects, robot construction, sets and locations, and a few other areas. Levy always displays a high level of enthusiasm during his commentaries, and that continues here. Though he can veer toward the happy talk side of the street, I still appreciate his energy, and he contributes a lot of good information about the flick. Levy makes this a breezy, enjoyable chat. In addition to Levy’s commentary, we get branching video and picture-in-picture elements. These let us go to the set and learn about production design, the film’s take on the future, robot design and creation, motion capture, cast and performances, dance choreography, and sound design. We get notes from Levy as well as production designer Tom Meyer, writer John Gatins, dance choreographer Anne Fletcher, supervising sound editor Craig Henighan, editor Dean Zimmerman, and actors Hugh Jackman, Evangeline Lilly, Dakota Goyo, and Hope Davis. While I suspect that the fully-enabled “Second Screen” will be more dynamic, the disc-based version essentially offers “audio commentary plus”. Levy’s basic commentary dominates the piece, as only occasional branching pieces appear. These are worthwhile, but we don’t get enough of them to make the disc-based “Screen” useful. The rest of the extras follow a more conventional path, including four featurettes. Countdown to the Fight: The Charlie Kenton Story goes for 13 minutes, 51 seconds and offers notes from movie characters. It provides a fictionalized “behind the scenes” to show the history of the flick’s Charlie role. The film delivers a little exposition in that regard, but not this much; that makes this a cool bonus, as it lets us learn a lot more backstory about the flick’s lead. Next comes the 14-minute, 14-second Making of Metal Valley. 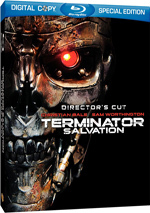 It offers notes from Levy, Meyer, executive producer Mary McLaglen, special effects coordinator Joe DiGaetano, stunt coordinator Garrett Warren, stunt double Kelli Barksdale, 1st AD/executive producer Josh McLaglen, co-producer Eric Hedayat, visual effects supervisor Eric Nash, As implied by the title, this featurette delivers details on how the film’s “Metal Valley” location was created, shows the shoot there and follows through effects and editing. We get some similar information in “Second Screen”, but the program delivers a lot of nice shots from the set and digs into the requisite details well. Building the Bots lasts five minutes, 38 seconds and features remarks from Levy, Jackman, Meyer, Lilly, Gatins, Goyo and robotics supervisor John Rosengrant. The show looks at the design of the boxing robots and their creation, with an emphasis on the practical machines used on the set. It’s another enjoyable, informative piece. Finally, Sugar Ray Leonard: Cornerman’s Champ goes for six minutes, 19 seconds and delivers material from Levy, Warren, Jackman, and boxing consultant Sugar Ray Leonard. We get some notes about how Leonard helped coach and choreograph the boxing scenes. Some of this tends to be fluffy praise for Leonard, but it still has some decent insights along the way. Two Deleted and Extended Scenes last a total of 17 minutes, 48 seconds. We get “Extended Meet Ambush” (4:05) and “Deleted Butterfly Storyline” (13:43). Both come with introductions from Levy; he gives us good notes about the sequences and why he cut them. “Ambush” doesn’t add a whole lot; it throws in some additional snarky comments from the little girls but not much else. “Butterfly” provides an omitted subplot in which we learn more about Max’s backstory. It’s not a bad thread but it doesn’t add much, and given that the end movie already runs a little long, an extra 10 minutes or so would’ve hurt it. After this we get a collection of Bloopers. The reel runs two minutes, 36 seconds and shows the usual goofs and giggles. However, it throws in some improv lines as well, so those add a little spark to the proceedings. The disc opens with ads for The Avengers, Real Steel, and The Help. Sneak Peeks also provides a promo for Castle. No trailer for Real Steel pops up on the disc. A second platter gives us a DVD Copy of Real Steel. This offers a retail version of the flick, which means it boasts a few extras; it includes Levy’s audio commentary as well as “Metal Valley”, “Bots” and “Bloopers”. Though it has nothing exclusive, it brings us an easier way to access the commentary if you don’t want to bother with the complications of “Second Screen”. At no point does Real Steel threaten to become a memorable cinematic experience, but it does enough right to create quality entertainment. While it follows a resolutely predictable path, it still manages to bring us with it and spur us to cheer even when we understand how hokey and cheesy it should be. The Blu-ray delivers terrific picture and audio along with a reasonably informative set of supplements. I think this brings us a quality release for a likable movie.